Everyone’s favorite Paisan is this month’s Spotlight. I am talking about WINR’s beloved Radio Personality and Morning Man, Don Giovanni on iHeartRadio! Although Don is a very private person he did open up with My Town to tell us a bit about being born into a large Italian American family and raised in the Valley Of Opportunity, Binghamton, NY, an area that he is deeply and forever committed to making a great place to live. He grew up in the Italian section of Chenango Bridge. His Dad worked at Link Aviation and mom made the house a home while also running a home daycare that took care of about 100 kids over the years. “Growing up in Chenango Bridge was just like living in Mayberry” Don said. A graduate of CV High School, Don played football and baseball. He is proud to have been voted as the first runner up Class Clown! Don always loved radio since he was young and used to spin records and pretend to be a deejay. His dad used to quiz him as they rode around in the car about the radio towers on the hills in the Triple Cities. He said he never dreamed his voice would be broadcasting from those same towers all these years later. 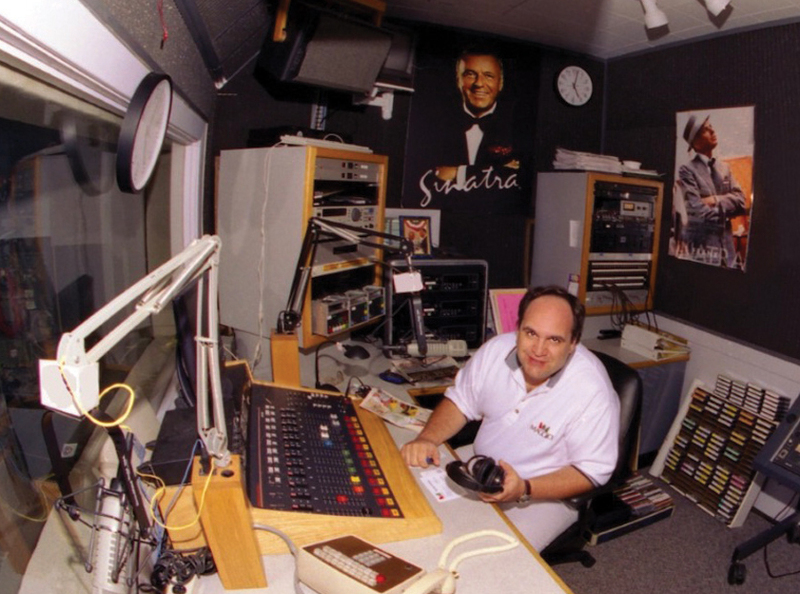 Don has been an on-air personality in top markets in the country including NYC, Boston, Chicago and Philadelphia. But no matter how big the market Don always chooses to broadcast out of Greater Binghamton from iHeartRadio US96.9FM and WINR 680AM studios. On Saturday mornings The Don Giovanni Show sounds just like a fun old fashioned Italian celebration and every Sunday morning it’s all Frank Sinatra for four hours! It is simply a love affair between Don and his audience. “I give from my heart and it comes back ten times more. The program gives me an outlet to help make the world a better place. It’s kind of like a ministry. Don thank you for making this area a great place to live, grazie per tutto quello che hai fatto.